Lenovo's IdeaPad U350 delivers is a cheap laptop that delivers full PC functionality. The IdeaPad U350 is the first in Lenovo's new line of inexpensive ultraportable laptops, which will include low-power processors Intel has designed for small and affordable laptops. The laptops will be as light as netbooks but include larger screens and offer more functionality. Priced starting at US$649, the U350 weighs about 3.5 pounds and includes a 13.3-inch screen. It comes with a four-cell battery that can run for around four hours. Microsoft's Windows Vista operating system comes pre-loaded with the laptop, and Lenovo officials declined comment on potential upgrade options to Microsoft's upcoming Windows 7 OS. The laptop is powered by Intel's single-core Intel Pentium SU2700 processor, which runs at 1.3GHz and includes 2MB of cache. Lenovo will start offering Intel's faster single-core SU3500 Core Solo processor as an option with the laptop starting in August. The U350 comes with 2GB of RAM and can support up to a 500GB hard drive. The Intel chips carry the CULV moniker, which stands for consumer ultra-low voltage chips. 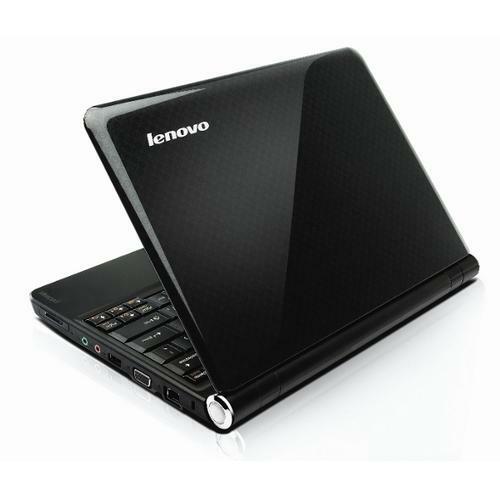 The U350 offers more features and functionality than netbooks, said Charles Farmer [CQ], consumer products marketing manager at Lenovo. Netbooks are designed to be secondary PCs, while the U350 is being targeted as a primary PC for users. Netbooks are designed for basic tasks like Web surfing, and have small screens of up to 12 inches. The U350 has a larger screen and includes graphics capabilities usually found in a mainstream laptop, Farmer said. The U350 can run high-definition multimedia, gaming and resource-hungry applications, something netbooks typically can't do. By the same token, the U350 is not as powerful as expensive ultraportables like Lenovo's ThinkPad X200 and X300 series laptops. The ThinkPads run faster processors like Intel's dual-core Core 2 Duo chips, and include other bells and whistles like fingerprint readers and solid-state drives for data storage. However, the U350 is much cheaper in price, Farmer said.